Thailand's, Phuket makes a perfect base for your Thailand yacht charter in the Andaman Sea with it's international airport and central location. Phuket is conveniently located close to Burma, Malaysia and the Indonesian Archipelago. Although the potential cruising ground is extensive, Thailand alone holds plenty to keep anyone entertained on a yacht charter - in fact, you'll probably never want to leave. Phuket is a haven of activity with modern resorts, restaurants, nightlife and great shopping, for those who are interested. For those who aren't, you'll be pleased to know that once you start sailing you'll be more likely to come across stunning isolated beaches and wildlife, than flashy nightclubs. The luscious landscape of Phuket is perfect for a luxury yacht charter: Untouched bays filled with blue water and silky sands are only a short cruise away from the modern delights of resorts, spas, clubs and high-end shops. 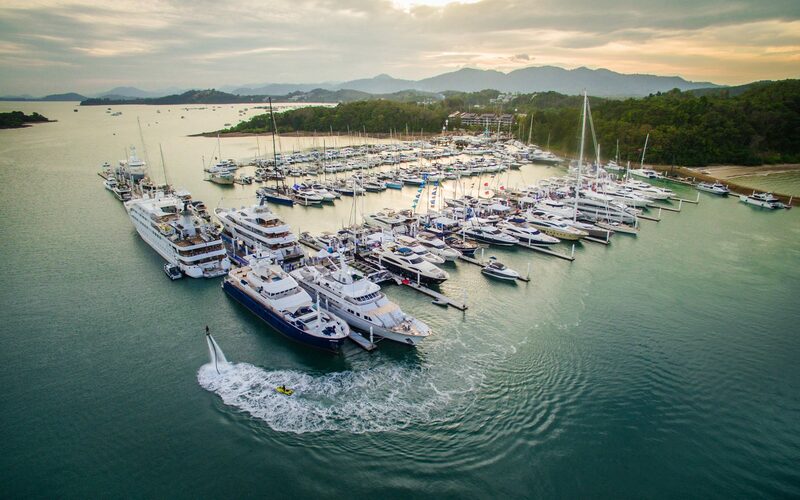 Thailand is gaining in popularity as a superyacht destination, offering exceptional berthing services and a mix of modern and traditional landmarks and activities. Snorkel in the clear waters and discover a myriad of marine life with family and friends, or dive deeper to swim with manta rays and bull sharks. 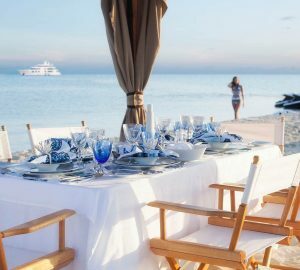 Find your own private beach and learn a new skill on your holiday with jet ski instructors, dive masters and kite surfing instructors a possibility among your luxury yacht charter crew. 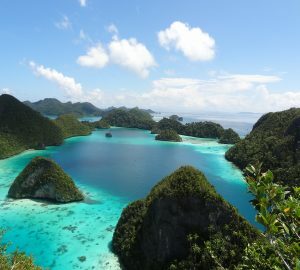 Whether you want to visit as many destinations as possible or lounge about in one tropical paradise, the Andaman Islands are in an excellent position to include in a South-East Asia yacht charter: To the north, Myanmar (Burma) is strikingly different in its scenery while retaining all the mystical allure that draws holidaymakers to the region. Relax along the deserted beaches of the Mergui Archipelago and savour time spent with family and friends without any modern day distractions. A superb anchorage and highlight for yacht charters, is Pang Nag Bay. Famed for its sea mountains that rise vertically out of the turquoise waters, they truly defy gravity and belief. There are numerous safe anchorages in the bay. Use a tender or dinghy to explore the quaint little coves, fantastic caves and inland lakes. Buy fresh seafood from the local fisherman to enjoy on board your charter yacht. Grill it up on your aft deck BBQ, or have is specially prepared by your chef. Cruise on to Koh Phi Phi, one of the most spectacular islands of Thailand. Enjoy magnificent scenery, secluded bays and white sandy beaches on your yacht charter vacation. Follow a jungle trail on a mountain trek or enjoy swimming in the clear, turquoise waters. Relax on your charter yacht and enjoy the warmth of the tropical sun. One of the things I love about Thailand is the way restaurants set up their little tables and chairs on the beaches at night. The candlelight flickers in the gentle breeze and the moon reflects off the rippling water and for a moment, you’re in the most romantic place in the world. Koh Phi Phi has grown enough commercially to have a great range of restaurants and live entertainment to suit all tastes. There are hundreds of less developed islands also, to enjoy on your yacht charter vacation. The area is home to several national parks and reefs, which offer great opportunities for diving and fishing. For those dedicated enough to cruise out to the continental shelf, near the Similian Islands, there is some fantastic game fishing and the lure of the famous Black Marlin. Thailand is a romantic and alluring destination for any yacht charter vacation. It has everything you could hope for in man and nature. The sailing conditions are perfect all year, the environment is stunning, the people delightful, and the food, delicious. No matter how long your yacht charter lasts, you'll probably leave thinking it wasn’t long enough! 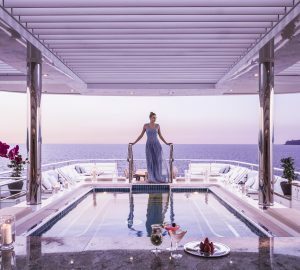 Thailand, Phuket and the Andaman Sea are gaining increasing popularity as a top yacht charter destinations because there are so many interesting things do see and do and yacht charterers really feel like they are in a very different place from home. All the main types of yacht charter are available such as motor, sailing, dive charter, skippered, crewed yachts, catamaran, power boat, sailboat, luxury yachts and off-course the ever increasing superyacht charter. In close proximity to Thailand are a number of exciting sailing destination.